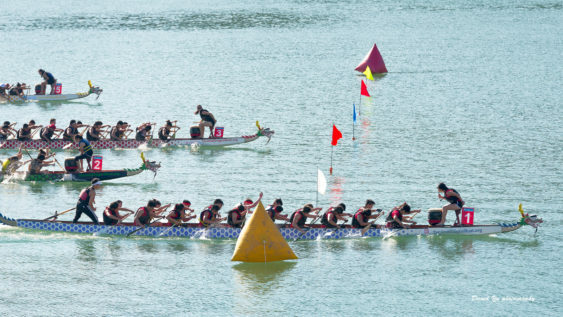 Cheer on the fleet of colorful 40-foot dragon boats as teams from all over Northern California race to the beat of Chinese drums on Saturday & Sunday, September 28 & 29, 2019. This two-day, admission-free festival brings a weekend of world-class dragon boat racing, spectacular cultural performances, delicious food, a variety of clothes and crafts vendors, and kid-friendly activities in Dragon Land where games and arts & crafts await. Over 20 years ago, the first dragon boat team in the U.S. was started in Oakland by the Oakland Fire Department. Today that racing spirit is kept alive by the city of Oakland’s very own competitive dragon boat racing team, the Oakland Renegades. Each day several boats will compete against each other by creating a colorful spectacle on Oakland’s beautiful Lake Merritt. Dragon boat racing is based on power, speed, synchronization, and endurance. The boats themselves are colorfully decorated with ornately carved dragon’s head at the bow, a tail in the stern, and a 40-foot-long hull painted with dragon’s scales. The dragon’s “claws” are the 20 paddlers propelling the boat to the pace of the seated drummer at the front and kept in line by the steersperson at the back, steering with an elongated oar.